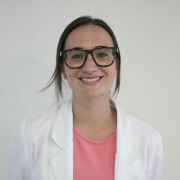 Dr Laura García de Miguel worked in gynaecology and obstetrics since 2008. Now, García de Miguel is medical director of Clínica Tambre– based at Madrid. Tambre was established by Dr Pedro Caballero in 2000, he is renowned for being one of the members that drafts the 1st Law on Assisted Reproduction in Spain. The clinic is specialized in complex fertility cases and consistently achieves outstanding pregnancy rates. Ms García de Miguel is consultant gynecologist and specialist in reproductive medicine. She graduated in medicine from Universitat Autònoma, Barcelona and trained as a subspecialist in reproductive medicine at University Sant Joan de Déu Hospital. She has extensive experience in IVF and provides a highly individualized approach to patients, tailor made treatments to achieve the highest pregnancy rates. Ms García de Miguel has a special interest in patients who have had previous failed fertility treatment or who are considered poor responders to IVF treatment. Laura speaks fluent Spanish, English and French and treats patients from all over the world.